Although Belarusian authorities permitted and did not interfere with the annual Freedom Day opposition rally in the centre of Minsk, the pressure against opposition activists is increasing. Multiple detentions leading to short-term prison terms are now coupled with restrictions on travelling abroad for pro-democracy activists. The life of political prisoner Siarhey Kavalyou who has been on a long hunger strike is in danger. Pro-democratic supporters mark BNR anniversary with demonstration. An estimated 3,000 to 4,000 people took part in a “Dzen Voli” (Freedom Day) demonstration that was held in Minsk on March 25 to mark 94 years since the proclamation of the 1918 Belarusian National Republic (BNR). No arrests were reported during the demonstration, which had been sanctioned by the Minsk City Executive Committee. According to witnesses, police acted politely. 100 detained in benefit concert over drug suspicion. On March 24, around a hundred people have been reportedly detained during a concert in support of the “Food Not Bombs” international campaign held in Minsk MTZ Palace of Culture that evening. As a result, 9 people were sentenced to administrative arrests for a period of 2 to 3 days, 7 people – to fines. In this regard Belarusian human rights activists, on the initiative of the Legal Transformation Centre, signed an appeal to the UN Working Group on Arbitrary Detention. Non-political expulsion. A journalist Ales Gorski investigates a case of dismissal of a civil activist Nasta Shuleyka from the Belarusian State University. He cites the words of the former student who agrees with the decision of the administration and claims that she was expelled for very valid reasons – a lot of missing of lectures and the "non-admission" to the exam session. Belarusian and international press extensively wrote that her dismissal was political. Two more independent journalists warned by prosecutor. BAJ members Alina Radachynskaya and Volha Chaychyts were officially summoned to the prosecutor’s office of Minsk on the morning of March 28. The journalists are accused of collaboration with “Belsat” TV-channel and warn against work for independent mass media in Belarus without accreditation. In 2012 already 8 warnings have been issued to independent journalists. Ivashkevich warned for sanctions call. Belarusian opposition politician Viktar Ivashkevich has been warned against the actions that may be aimed at “undermining the state sovereignty”. The warning to the politician was issued in the Prosecutor General's Office on March 27. Hunger strike caused irreversible damage to Kavalenka's health? Referring to Syarhey Kavalenka's lawyer, who met with the client on March 29, the activist's wife has sounded an alarm over the rapidly deteriorating health of the imprisoned opposition activist, saying that his lengthy hunger strike has already caused "irreversible" damage to his internal organs. "Young Front" members sentenced to long terms of arrest. On March 11, "Young Front" activists were tried at the Leninski District Court of Minsk. Dzmitry Kramianetski, Mikhail Muski, Uladzimir Yaromenka and Raman Vasiljieu were given 15 days of administrative arrest, though they had already spent three days in a detention centre. So, each of them was given 18 days of arrest. The activists were tried for an action near the MFA headquarters. Anonymous people threw toilet paper at the building to show their protest against the agency's pro-Russian policies and expelling foreign diplomats from Belarus. Syarhey Kavalenka set to continue his hunger strike until he is released. The wife of Syarhey Kavelenka has filed a fresh appeal with the Prosecutor General’s Office, asking it to replace the opposition activist’s prison term with a non-custodial sentence. Alena Kavalenka submitted the appeal after meeting with her husband at Detention Centre No.1 in Minsk on March 12. According to the wife, Syarhey Kavelenka is set to continue the hunger strike. Three key opposition politicians sentenced to fines. Anatol Lyabedzka, leader of the United Civil Party; Syarhey Kalyakin, leader of the "Spravedlivy Mir (Just World) and Alyaksandr Atroshchankaw, a member of European Belarus, who were arrested and taken off a Moscow-bound train by police early on March 28 were sentenced to fines on March 29. They had planned to travel from Moscow to Brussels for meetings with European Commission representatives before they were arrested in Orsha on their way to the Russian capital. Lukashenka promises to maximally expand travel-banned list. Alexander Lukashenka has declared that the country has a list of the travel banned opposition activists, which is not operating to its maximum though. Lukashenka added that it was decided to prevent the opposition of Belarus from leaving the country because they had contributed to the introduction of sanctions by Western countries against the official Minsk. Currently there are evidence about nearly a dozen Belarusian opposition politicians, civil society activists and independent journalists have been denied permission to cross the Belarusian border, including former parliament speaker Stanislav Shushkevich, the United Civic Party Chairman Anatol Lebedka, BAJ Chairwoman Zhanna Litvina, Belarusian Helsinki Committee Chairman Aleh Hulak and others. Travel ban for civil society activists. Starting from the early March, nearly a dozen (so far confirmed) Belarusian opposition politicians, civil society activists and independent journalists have been denied permission to cross the Belarusian border without being given an explanation. Among them there are human rights defender Valentin Stefanovich, Platforma Chairman Andrei Bandarenka, Nasha Niva Editor-in-Chief Andrey Dynko, and over then other people.Although authorities deny the existence of a no-exit blacklist, activists say the exit denials appear to be a response to the EU's sanctions against individuals in the regime of Lukashenka. Former director of IBB Astrid Sahm denied entry to Belarus. On March 18, the former German director of the IBB “Johannes Rau” in Minsk, Astrid Sahm was not allowed to enter Belarus. Sahm had a Belarusian visa and flew to Minsk on the affairs of the charity NGO "Hope". Rainer Lindner, Head of the German-Belarus Society condemned in the denial in a public statement. Fule launches dialogue with Belarusian society. On March 29, Commissioner for Enlargement and European Neighbourhood Policy Stefan Fule launched the European Dialogue on Modernisation with Belarusian society at a meeting in Brussels with representatives of Belarusian civil society and political opposition. This follows the conclusions of the Foreign Affairs Council last week welcoming the idea of launching such a dialogue with the Belarusian society. European Parliament adopted resolution on Belarus. On March 29, the European Parliament adopted a resolution on Belarus at the meeting in Brussels. The full document is published on the site of the European Parliament (see part 2, pp.28-32). The resolution condemns "the deteriorating situation as regards human rights and fundamental freedoms, combined with the lack of deep democratic and economic reforms in Belarus, and will continue to oppose the repression of the regime’s opponents." Estonia allocated €100 thousand to Belarusian civil society. The Estonian Foreign Ministry has allocated €100 thousand to support civil society in Belarus. According to ambassador of Estonia to Belarus Jaak Lensment, this amount is pretty small, but can do many useful things when used properly. The Belarusian expert community vigorously debated three topics last week: the EU-Belarus diplomatic conflict, the deepening dependence of Belarus upon Russia and capital punishment. A Letter to a European Friend – Siarhey Dubavets uses physics terminology to make the point that by pressuring a substance, one cannot destroy it, but rather push the substance in any given direction. He argues that the EU policy of sanctions towards Belarus is pushing the country towards Russia instead of Europe. He questions why Europe is so focused on punishing the regime, forgetting to influence the people of Belarus. He thinks the most effective and cost-effective measure would be to open Europe to Belarusians and remove visa barriers. Strategies, Consequences of the Conflict with the EU: What will Happen to the Country and Us? – BISS analysts Alexei Pikulik and Denis Melyantsou continue to explore the diplomatic conflict between the EU and Belarus. Experts believe that the current situation could have really serious consequences for Belarus, so the most important thing now is to stop the escalation of the conflict and to reflect on possible ways to resolve it. Accordingly, analysts urge official Minsk and Brussels to make concessions, and the democratic opposition – to the internal agreement. Europe’s Dubious Business Business with Belarus (text available for active subscribers only) – Yuri Jibladze (spokesman for the Committee on International Control over the Situation with Human Rights in Belarus) and WernerSchulz (a German Green MEP and member of the European Parliament's foreign affairs committee) wrote an op-ed for The European Voice, in which they argue that Europe must sever “the channels that the Lukashenko regime uses to finance itself”. The authors suggest that the EU’s sanctions have not halted abuses, failing in practical terms. On the contrary, they state that that Belarus exports to EU rose 221 per cent in 2011, exceeding exports to Russia. The authors seem to suggest that the EU should introduce targeted economic sanctions against “…a handful of de facto oligarchs…” and their companies, “…primarily those in important areas such as fertiliser production, steel and crude-oil processing”. Belarus, EU Sanctions and the $1m Bounty – EUobserver notes that the EU capital is seeing an unprecedented amount of lobbying on Alexander Lukashenka's behalf before EU foreign ministers meet in Brussels on Friday 23 March. The website quotes a senior EU official who described the queue of NGOs, diplomats and companies telling him in recent weeks why billionaire Vladimir Peftivev should be excluded from the visa and economic sanctions list. The Government is Dictated a Task: To Give Up Large National Business to Foreign Capital – Yuriy Shevtsov, a Belarusian political scientist, believes that EU sanctions against Belarusian businessmen are “an order” from interested representatives of foreign business structures. The author briefly examines the business interests of five Belarusian “tycoons” and argues that sanctions against them are a result of actions by their European competitors. 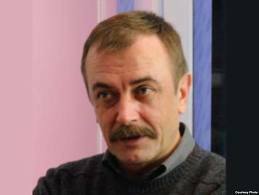 Sergei Lisichenok: Other Countries Get Funds Instead of Belarus – coordinator of the National Platform of the Eastern Partnership Civil Society Forum, Sergei Lisichenok describes the possible positive results for ordinary citizens of Belarus' membership in the EaP programs of the "Eastern Partnership" . He also mentions the inconsistency of the EU conditionality. He recalls that first the EU came up with 12 conditions, then they were cut down to 3-4 points and in the end seemed to disappear altogether. Cracking Down, Cracking Up: Europe’s Last Dictator Relies Evermore Nervously on Russia for Support – The Economist publishes an article in which it lists the execution of the two men, found guilty in the metro bombing in Minsk, among a wider crackdown of the Belarusian government on the society. The article concludes that Russia is ready to extend support to Lukashenka at a higher price than simply an anti-Western stance, but that such support is unlikely to last forever. Belarus’ Foreign Policy Index #6 – BISS presents a new issue of the Belarus’ Foreign Policy Index which covers January and February 2012. The focal points of the country’s foreign policy endeavour in this period were obviously the accession to the Common Economic Area (CEA) together with Kazakhstan and Russia, as well as the diplomatic scandal with the European Union that erupted at the end of February. Both events increase Belarus’ dependence on Russia and narrow the room for manoeuvre. Belarus Monthly Economic Review #3 – The IPM Research Center presents Belarus Monthly Economic Review covering March 2012. The focal points of the Belarusian economy of this period are growth of dependence on Russia’s energy, new financing procedures for government programs, devaluation effect exhaustion, and reducation in exports to Russia. Execution of terrorists makes Lukashenka more dependent on power forces – Solidarity with Belarus Information Office analysts consider that the refusal of Lukashenka to pardon Kovalev, who appealed with an appropriate request, implies the growing influence of the power elite on the President. At the same time, by upholding the execution, Lukashenka lost the opportunity to meet the interests of a significant part of the population, who distrust the official outcomes of the trial. Losing Your Mind Over the Belarus Executions – a prominent provocative Russian journalist Yulia Latynina writes for the Moscow Times, commenting on the reaction of people to the execution of Dmitriy Konovalov and Vladislav Kovalev in Minsk. The author suggests that those who are against the death penalty and those who believe that Lukashenka is a dictator should never turn the fight for freedom into a fight to prove that a convicted maniac and killer is innocent. ​Elections Authorities Will Use the Lure of Political Reforms – Yauheni Preiherman discusses possible scenarios for the September parliamentary elections. The expert believes that one should not have hopes for political liberalisation and modernization. The parliamentary campaign of 2012 will be held under the baseline scenario, aimed at ensuring internal legitimacy of the election, as internal legitimacy is the main pillar of the political model of Belarus. Bertelsmann Transformation Index 2012: Belarus Country Report – Bertelsmann Stiftung rolls out the BTI 2012 Belarus Country Report. Belarus received a high score in the “Stateness” category (monopoly on the use of force, state identity, basic administration etc). At the same time, on a scale from 0 to 10 (where 10 is the strongest) Bertelsmann’s scores Belarus at the level or slightly above 2 in such categories as stability of democratic institutions, political participation, private property and consensus building. Economic performance, socioeconomic level, welfare regime and sustainability received scored at the level or slightly below 6.